Microprocessor control delivers reliability and accurate exposure parameter management. Manual three factor factor selection permits the operator to modify the recommended kV, mA and time. Easy Auto-Calibration reduces initial installation time. Automatic tube protection.Sophisticated self-diagnostic capability and coded error messaged allow for fast and well-defined initial diagnostics. Compact console is ideally suited for small control rooms. 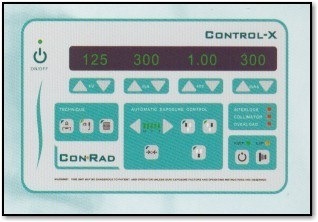 Automatic Exposure Control can support two ion chambers. Compact design fits into small x-ray rooms. APR operating mode with 100 examination distributed across 10 anatomical regions. Simple and user-friendly technique reprogramming on site. Sophisticated self-diagnostic capability and coded error messaged allow for fast and well-defined initial diagnostics. Automatic tube overload protection, selectable 80% or 100%. Automatic Exposure Control can support either four solid state detectors or ion chambers. Automatic Brightness Stabilizer produces optimal fluoroscopic images. 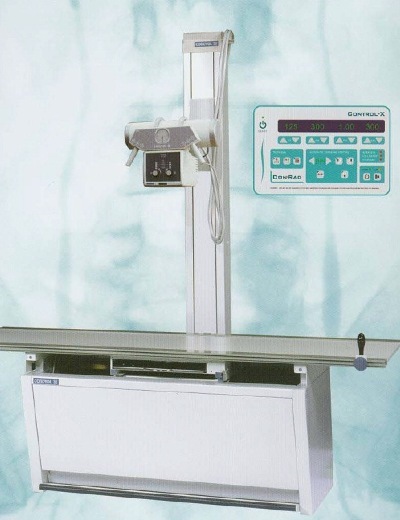 Supports one or two x-ray tubes in either radiographic or radiographic and fluoroscopic mode. The PCX HF high frequency generator family matches the needs of busy radiology departments with today's technology. 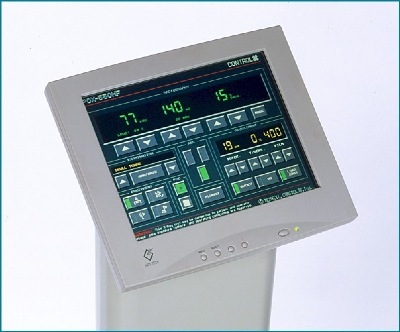 The coherence of touch screen and color LCD display offers a unique generator control with great flexibility in powering a variety radiographic and fluoroscopic applications. 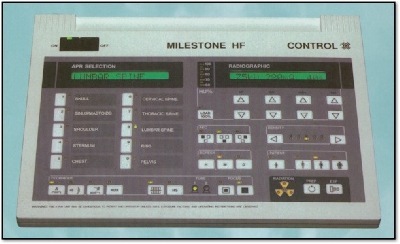 The integrated self diagnostic ensures trouble free operation and comprehensive service. Microcontroller and computer integration deliver reliability and accurate exposure parameter management. APR operating mode with 160 examination distributed across 8 anatomical regions. Simple and user-friendly technique reprogramming on site. Automatic parameter correction for patient thickness, tissue density, film.screen speed and source image distance. Manual override technology permits the operator to modify the recommended kV, mA and time. Sophisticated self-diagnostic capability and descriptive error messaged allow for fast and well-defined initial diagnostics. Compact display console is ideally suited for small control rooms. Comprehensive service program provides accurate troubleshooting and minimize downtime.